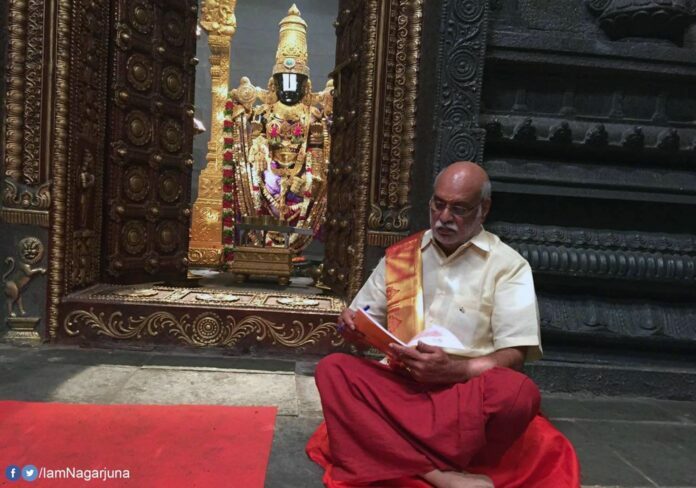 Home Entertainment Director Raghavendra Rao to be New TTD Chairman? Director Raghavendra Rao to be New TTD Chairman? The Veteran Telugu film director K Raghavendra Rao has reportedly been finalised as the new chairman of the Tirumala Tirupati Devasthanam (TTD). The TTD, which manages the Lord Venkateswara shrine atop Tirumala, is one of the richest religious bodies in the world. Andhra Pradesh CM Chandrababu Naidu is also believed to have given his approval to Rao for the TTD post. According to reports, the TTD head’s name was expected to be announced on Saturday after a cabinet meeting, but was postponed. “A top functionary in the government had a meeting with the director recently in Hyderabad. Now the government has sought his detailed profile to take the process forward. A communication from a Special Secretary has already gone to him,” a source told The Hindu. Director K.Raghavendra Rao has been serving as a Board member of the TTD since 2015. The post of chairman was lying vacant since Chadalavada Krishna Murthy completed his term last year. In October last year, Andhra Endowments Minister P Manikyala Rao said that the state government would not hurt anyone’s sentiments while appointing the Chairman of the TTD. The Minister was reacting to reports that suggested that the state could appoint TDP leader Putta Sudhakar Yadav for the post. Social media was abuzz with posts claiming that Yadav was not a ‘Hindu’ and supported members of another faith. Yadav was also reported to be a relative of state Finance Minister Yanamala Ramakrishnudu.